In its continued mission to educate the New Caledonian youth on coral reef preservation Pala Dalik, in collaboration with the renowned artist Bernard Berger (author of Tonton Marcel et sa bande) have been working on a comic strip about New Caledonia’s coral reefs. The project kicked off with a question for the Caledonians “What would you like to know about coral reefs?” from the answers to this question ten key topics were identified, which gave life to ten comic strips. 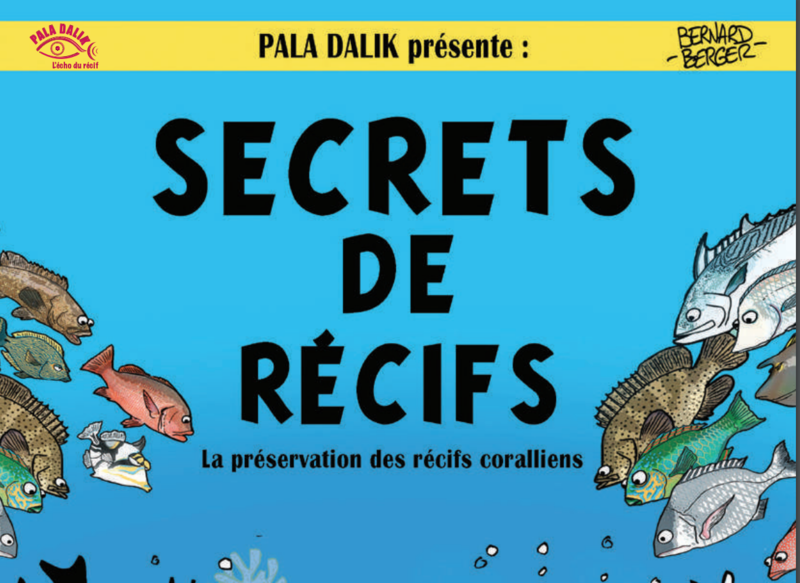 In order to share this project and to assist the teachers of New Caledonia, Pala Dalik decided to build on the work by editing and publishing a school textbook on coral reefs. This textbook will include the comic strips, and additional information for secondary school students based on the science of coral reefs. The textbook will be distributed for free across various schools during Pala Dalik’s interventions on coral reef protection.